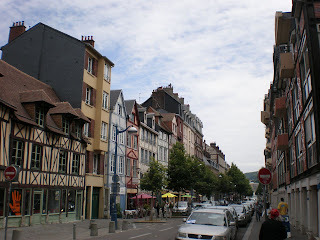 We started our journey by driving to Rouen, a small city famous for it's old town and gothic cathedral. And I understand why it was famous! The whole old town was nothing but half-timbered houses everywhere! In many different sizes and colours facing everythig from big boulevards to tiny small lanes. And the cathedral had so many small details it was impossible to look at all of them. 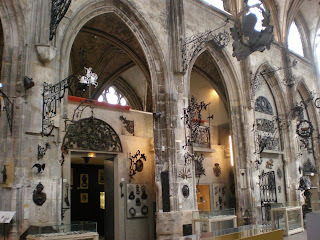 In Rouen we also found a very interesting and a bit different museum: Musée Le Secq des Tournelles that displayed different old iron-works. Some of them were really beautiful! And had such tiny details, I don't understand how anyone has ever been able to make them. I was really amazed. A good thing with the museums in Rouen was also that even though they had a lot of nice stuff to look at, they weren't too big like the museums here in Paris. You could actually enjoy your visit without getting really tired or stressing about seeing everything you want. 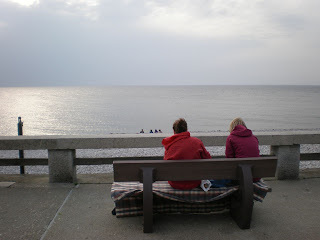 After seeing enough of Rouen we headed to our main destination: the coast. 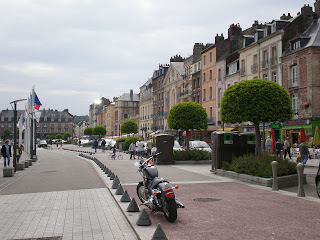 Our first stop was a small fishing-town called Dieppe. Really idyllic with cute houses, loads of boats and a beautiful promenade by the beach. And the beach itself consisted of thousands of small, round rocks in different grey and white shades. 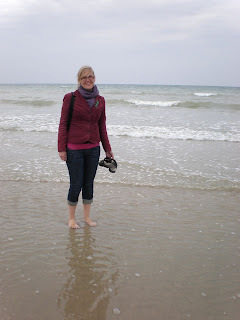 It was only further away the beach changed into sand.